IC5146, sometimes called Cocoon Nebula, is an emissive nebula located in constellation Cygnus. Central star in the nebula is responsible for the excitation of the surrounding hydrogen gas. 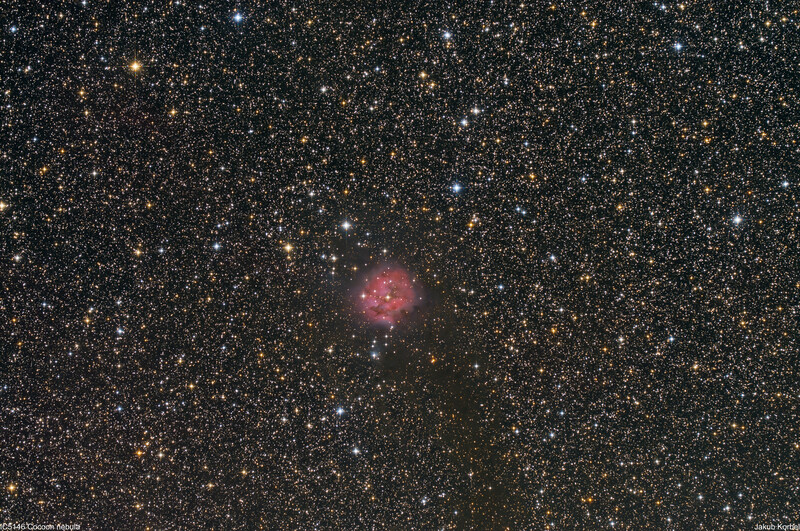 On the picture is also captured dark nebula Barnard 168, which creates the strip and it looks like the Cocoon Nebula has a tail.